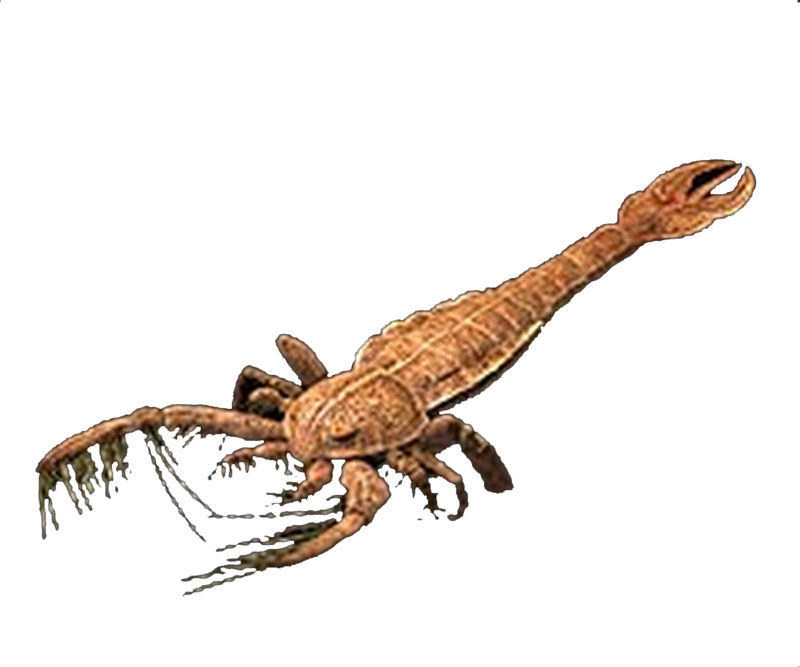 It belongs to a long extinct group of arthropods called Eurypterida or sea scorpions. Jaekelopterus rhenaniae could grow to be 2.5 meters longs and is the largest known species of arthropod to ever have lived. The giant sea scorpion was recovered from Willwerath in Germany. It is from the lower Devonian period. The sea scorpion group disappears from the fossil record at the end of the Permian, just before the dinosaur era. Sea scorpions are not true scorpions. They are in the same radiation of arthropods as the scorpions, spiders etc.. but their closest living relatives are the horseshoe crabs.